The Veladero gold mine is one of the largest gold mines in Argentina, and in the world. It is located 189 miles/305 km northwest of San Juan, immediately to the south of the Pascua-Lama property, in the highly prospective Frontera district. At elevations between 4000 and 4850 metres above sea level, the terrain is extremely rugged and the air thin. These high-altitude conditions present serious challenges for geophysical surveys. 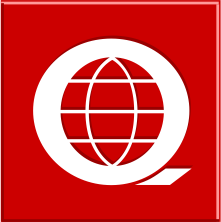 Quantec, a leader in South American geophysics and high altitude exploration, was hired by Barrick to provide consulting and services for exploration efforts on the Veladero property. 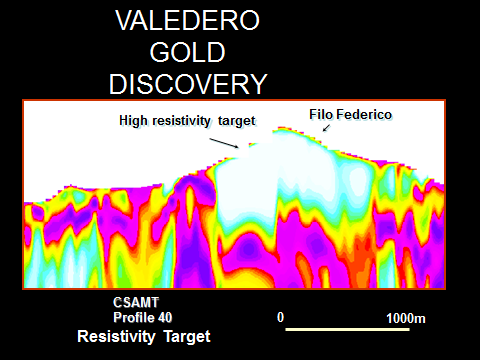 The dramatic results of the deep resistivity CSAMT helped Argentina Gold target their drilling.The Veladero deposit was discovered by Argentina Gold, and the first core recovered from the project returned partial results of 31 m grading 42.25 g/t Au and 42.61 g/t Ag. The early exploration was conducted by the junior company in a 60:40 joint venture with Barrick.